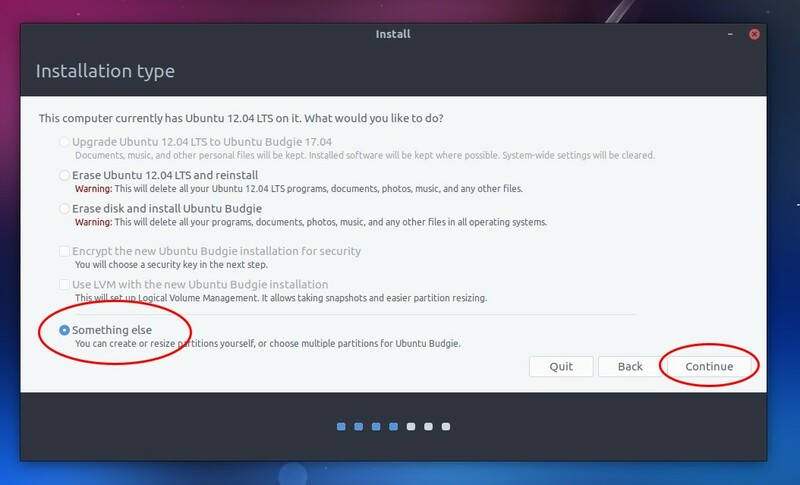 This is a simple guide to install Ubuntu Budgie 17.04. 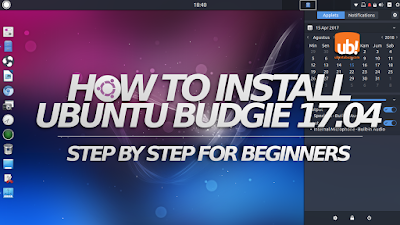 Because Ubuntu Budgie is a new comer to Ubuntu family, we believe this tutorial will be needed by many beginners. 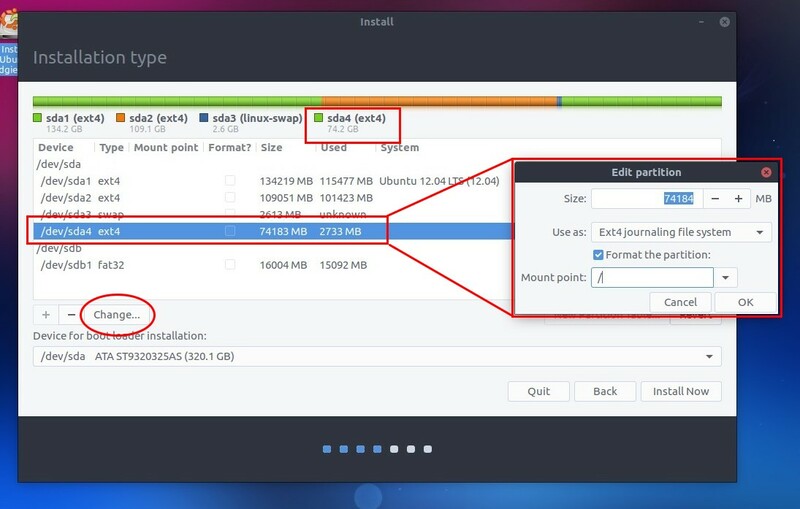 This will explain installation on a laptop by first preparing blank partitions to make it safer for most beginner users. This installation will need at least 20GB of disk space. The total time needed is only 10 minutes. It's quick and easy with gorgeous OS Ubuntu Budgie. Enjoy! 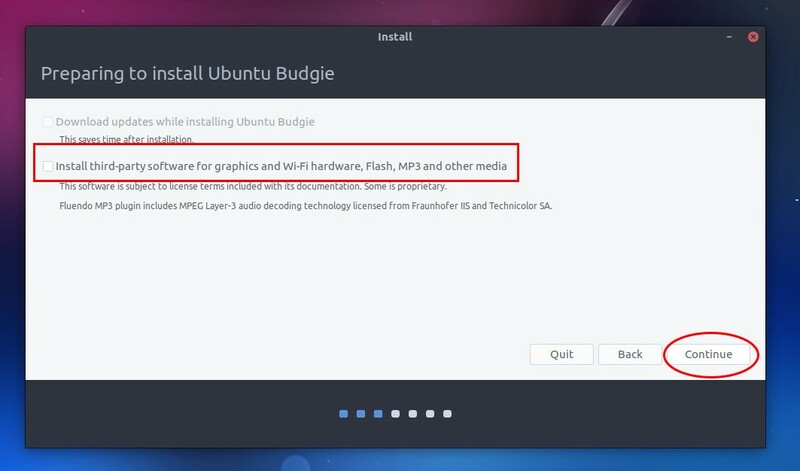 Note: this article is about installing Ubuntu Budgie 17.04. If you need something else, we have the review, complete download links for all 17.04 family, and how to cut download cost with zsync. 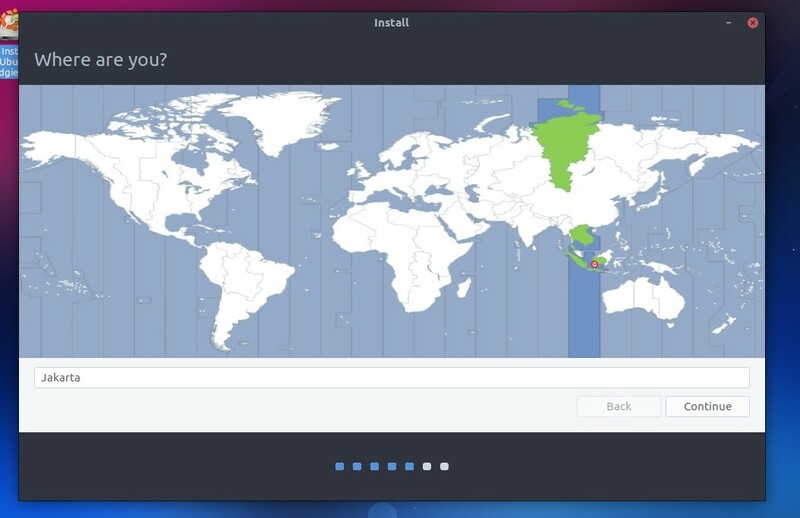 Get Ubuntu ISO image. You can use zsync to cut download cost. Here the complete download links for 17.04. Prepare 2 blank partitions: one at least 20GB will be main partition, and one (at your option) 1GB will be swap partition. Prepare installation media: burn the ISO image into USB drive, this is the most common method today. You can use Unetbootin (Windows/Ubuntu), Disk Utility (Ubuntu built-in), or Multisystem. Make backup: have full concentration while installing, don't be sleepy, and make sure you've created backup for your important data. Example: I prepared my /dev/sda4 70GB as main and /dev/sda3 2.5GB as swap. The bootloader will be installed to /dev/sda as the parent device for both main & swap. 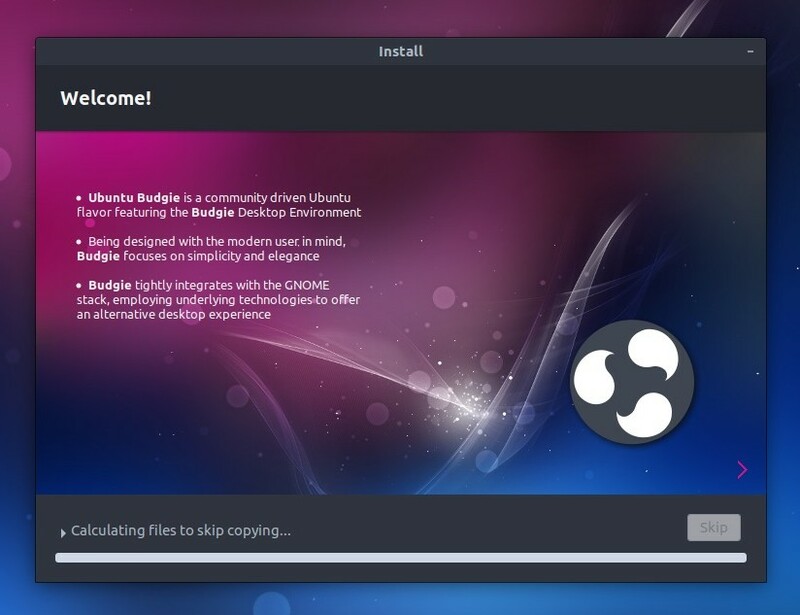 After making the installation media, you should insert it into your computer > reboot > enter BIOS > change the first boot into USB drive (or CDROM if you use DVD) > save & reboot > on the Ubuntu Budgie live session welcome choose "Try Ubuntu Budgie". On the desktop you should run the program "Install Ubuntu Budgie 17.04" so the installer window is ready. First step: select English on the language selection. However, if you see your mother language available, you can choose it instead. 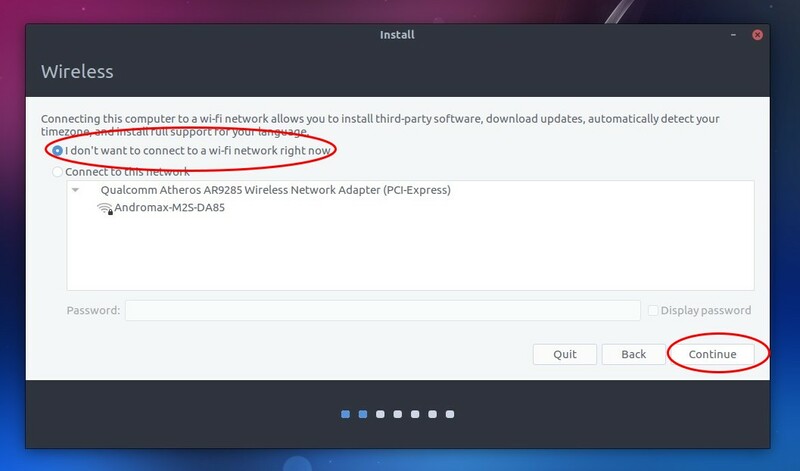 Second step: choose "I don't want to connect..." to make the installation process quick. Third step: make sure there is no check on "Install third-party..." so it won't waste the time to do something you rather do it after install. Fourth step: choose "Something else". This gives you full control over all your disk partitions. 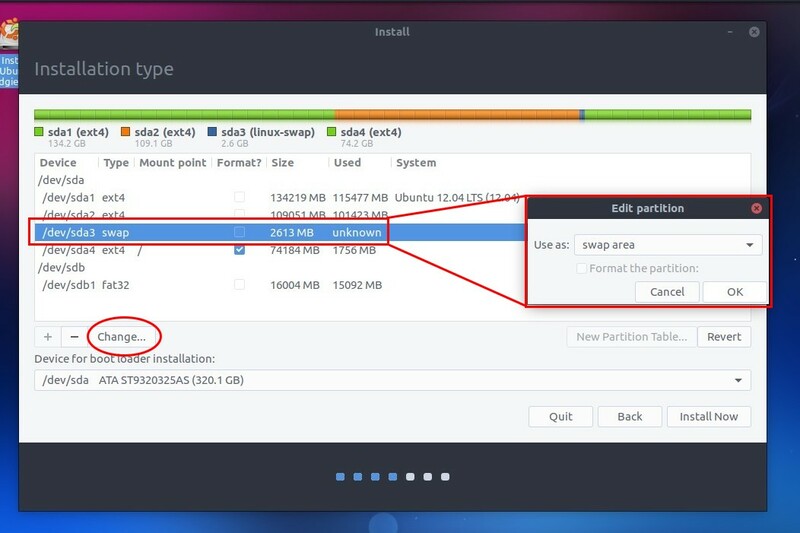 Fifth step: on the partition table, choose the main partition you've prepared > click "Change" > make sure the "Size" is 20GB or more > choose "Use as" = Ext4 > check on "Format partition" > choose "Mount point" = / > click OK.
Sixth step: still on the partition table, choose the second, smaller partition you've prepared > choose the "Use as" = swap area > click OK. Seventh step: select disk location where the GRUB bootloader will be placed. Generally, the default choice is safe. However, to make it sure, it should be the disk where your main partition belong. So if your main partition is /dev/sda4 then the correct disk location will be /dev/sda. See that /dev/sda4 is a partition inside /dev/sda. Eight step: begin the installation by clicking "Install Now". Remember that by pressing this button you cannot go back. So make sure all your partitioning decisions are correct. Click on the map where you're living. This determines your time & date setting, regional formats (such as money currency), and even holidays. Select your keyboard layout here. However, default selection is safe. 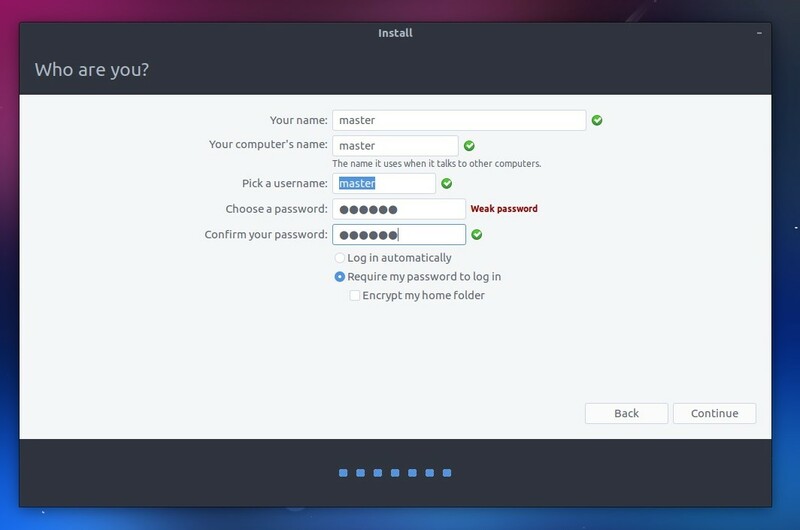 Determine your username and password for Ubuntu here. 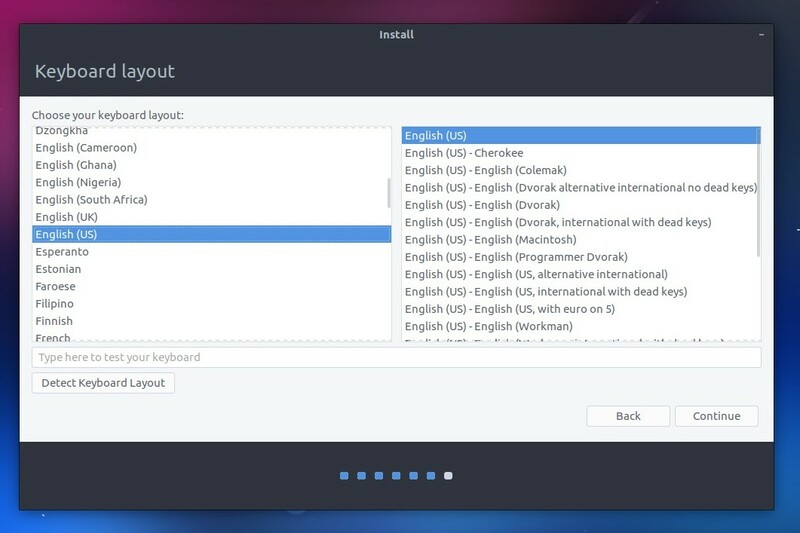 After filling 3 personal info, the installation window will take you to see beautiful slideshow introducing Ubuntu Budgie. The total installation time is around 10 minutes only in my machine. 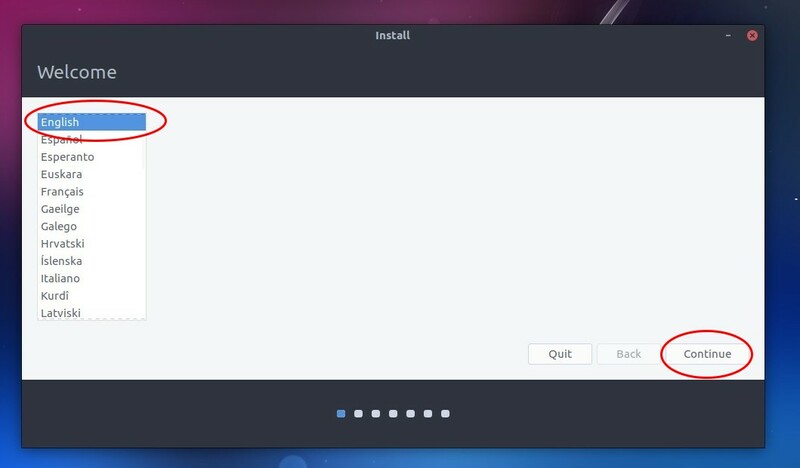 Once finished, the installer will inform you. You have the choice to stay on the live session or just reboot. Now enjoy Ubuntu Budgie 17.04!